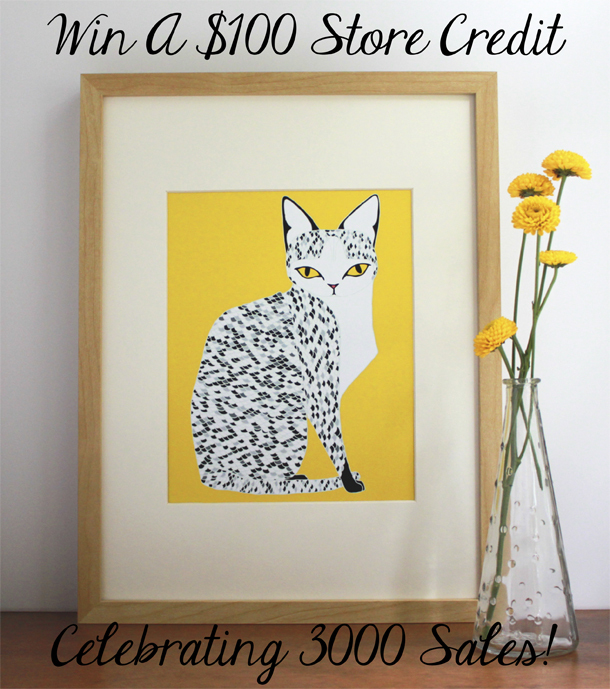 Today I hit a huge milestone: I had my 3000th sale in my Gingiber Etsy shop! Honestly, whenever I opened my shop in 2009, I never imagined that I would hit this number. It seemed so unattainable. The artists that I looked up to maybe hit the thousands. But me? I was just doodling seahorses and otters and crossing my fingers, hoping that someone would stumble upon my shop and *maybe* make a purchase. 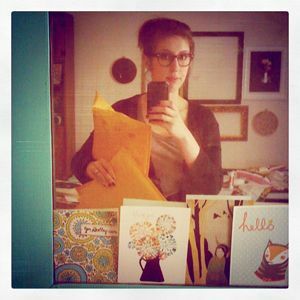 And this morning, when my little Etsy Phone App made that amazing "cha-ching!" noise, letting me know that I had made my 3000th sale, I almost cried with happiness. I know it is just a number, but that means 3000 Gingiber items have been packaged, shipped, and hopefully loved by their recipients. Thank you for allowing me to live this dream! I want to celebrate! I want to share my excitement with you! So I am giving away a $100 store credit to Gingiber! Then come back to this post and leave a comment letting me know how you entered! Be sure to leave me your email address so that I can get in contact with you! I will announce the winner of the $100 Gingiber Store Credit on Friday, December 14th. Please please please share this with your friends on FB and Twitter. I'd love for as many people as possible to have a chance to win.